Zimbabwe’s Robert Mugabe resigned as president Tuesday after 37 years in power, as parliament began impeachment proceedings against him. “My decision to resign is voluntary on my part and arises from my concern for the welfare of the people of Zimbabwe and my desire for a smooth, non-violent transfer of power,” said Mugabe in his letter which was read out in parliament, sparking cheers and dancing. Mugabe, who had been the world’s oldest head of state at 93, said that proper procedures should be followed to install new leadership. Mugabe’s resignation brought an end to the impeachment proceedings brought by the ruling ZANU-PF party after its Central Committee voted to oust the president as party leader and select recently fired Vice President Emmerson Mnangagwa as his replacement, a move that eventually could lead to Mnangagwa becoming head of state. Currently in exile, Mnangagwa served for decades as Mugabe’s enforcer, with a reputation for being astute and ruthless, more feared than popular. Before the resignation, crowds rallied outside Parliament, dancing and singing. Some people placed photos of Mugabe in the street so that cars would run over them. Opposition leader Morgan Tsvangirai of the MDC party said the culture of the ruling party “must end” and everyone must put their heads together and work toward free and fair elections. Earlier Tuesday, Mnangagwa said in a statement that Mugabe should acknowledge the nation’s “insatiable desire” for a leadership change and resign immediately. “The people of Zimbabwe have spoken with one voice and it is my appeal to President Mugabe that he should take heed of this clarion call and resign forthwith so that the country can move forward and preserve his legacy,” Mnangagwa said in his statement, after more than a week of silence. Mnangagwa, who fled the country and has not appeared in public during the past week’s political turmoil, said Mugabe had invited him to return to Zimbabwe “for a discussion” on recent events. However, he said he will not return for now, alleging that there had been plans to kill him at the time of his firing. Zimbabwe’s polarizing first lady, Grace Mugabe, had been positioning herself to succeed her husband, leading a party faction that engineered Mnangagwa’s ouster. The prospect of a dynastic succession alarmed the military, which confined Mugabe to his home last week and targeted what it called “criminals” around him who allegedly were looting state resources — a reference to associates of the first lady. “We’re not saying whitewash the past, but it is in the interests of everyone that Zimbabwe is engaged at this critical time,” Pham said in a statement. Regional leaders continued efforts to find a solution to the political turmoil, with South Africa’s state-run broadcaster reporting that the presidents of South Africa and Angola would travel to Zimbabwe on Wednesday to meet with “stakeholders” in the political crisis, including Mugabe and the military. Impeachment proceedings began days after huge crowds surged through the capital, Harare, to demand that Mugabe quit. 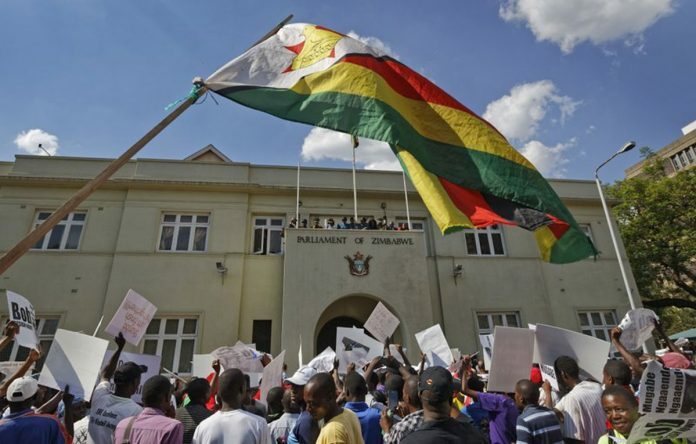 The ruling party had instructed government ministers to boycott a Cabinet meeting that Mugabe called for Tuesday morning at State House, the president’s official residence, and instead attend a meeting at party headquarters to work on the impeachment. “I will not stand in the way of the people and my party,” he said. In a televised address, the 93-year-old Mugabe acknowledged what he said were “a whole range of concerns” of Zimbabweans about the chaotic state of the government and the economy, but he stopped short of what many people in the southern African nation were hoping for — a statement that he was resigning after nearly four decades in power. The once-formidable Mugabe is now a virtually powerless, isolated figure, making his continued incumbency all the more unusual and extending Zimbabwe’s political limbo. He is largely confined to his private home by the military. 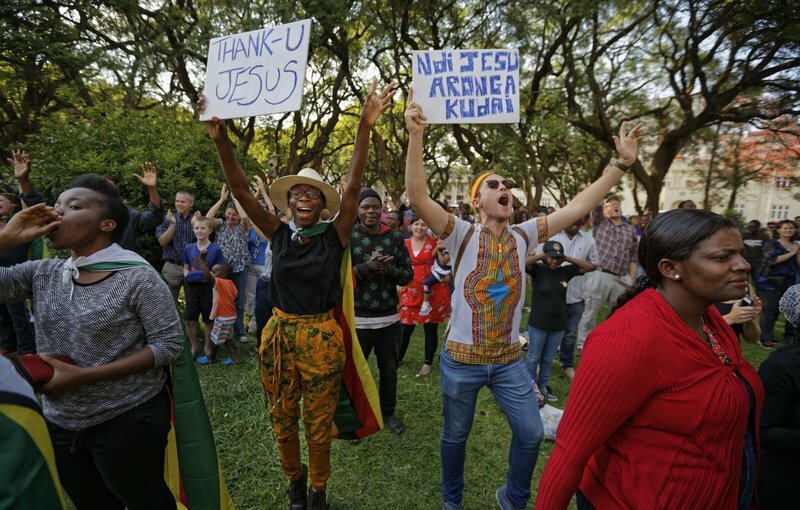 The ruling party has fired him from his leadership post, and huge crowds poured into the streets of Harare, the capital, on Saturday to demand that he leave office. Yet the president sought to project authority in his speech, which he delivered after shaking hands with security force commanders, one of whom leaned over a couple of times to help Mugabe find his place on the page he was reading. The Central Committee of the ruling ZANU-PF party voted to dismiss Mugabe as party leader at a meeting earlier Sunday and said impeachment proceedings would begin if he does not resign by noon Monday. Mugabe made no reference to the party moves against him, instead saying he would play a leading role in a party congress planned for Dec. 12-17. Mugabe has discussed his possible resignation on two occasions with military commanders after they effectively took over the country on Tuesday. The commanders were troubled by his firing of his longtime deputy and the positioning of unpopular first lady Grace Mugabe to succeed him. He referred to the military’s concerns about the state of Zimbabwe, where the economy has deteriorated amid factional battles within the ruling party. “Whatever the pros and cons of the way they went about registering those concerns, I, as the president of Zimbabwe, as their commander in chief, do acknowledge the issues they have drawn my attention to, and do believe that these were raised in the spirit of honesty and out of deep and patriotic concern for the stability of our nation and for the welfare of our people,” Mugabe said. Committee members stood, cheered and sang after Mugabe was removed from his post as party leader. Meeting chair Obert Mpofu referred to him as “outgoing president” and called it a “sad day” for Mugabe after his decades in power. 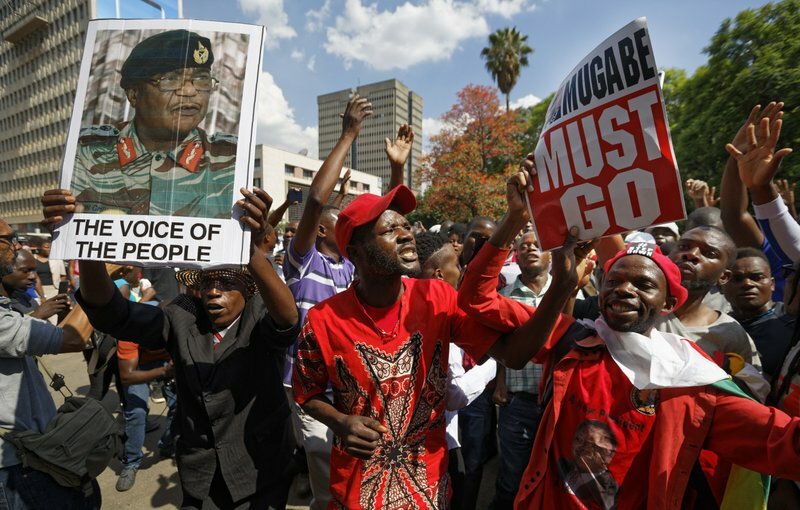 Zimbabwean officials never revealed details of Mugabe’s talks with the military, but the military appeared to favor a voluntary resignation to maintain a veneer of legality in the political transition. Mugabe, in turn, has likely used whatever leverage he has left to try to preserve his legacy or even protect himself and his family from possible prosecution. Hours before Mugabe spoke on television, Chris Mutsvangwa, head of the country’s liberation war veterans, said more protests could occur if the president does not step aside. He said he was concerned that the military could end up opening fire to protect Mugabe from protesters. Zimbabwe’s President Robert Mugabe is resigning after nearly four decades in power, according to an official close to the talks on his departure, in an extraordinary end for the world’s oldest head of state who had vowed to rule until death. It is official. Zimbabwe’s Mugabe resigning after 37 years. It happened after the ruling party’s Central Committee on Sunday fired Mugabe as party leader.